Meanwhile in Germany: The radio news report that the electricity companies are worried that they can't take the sudden loss in solar power during an upcoming solar eclipse. 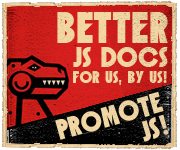 Another GIF from JSConf EU. Opening my conference JSConf EU.